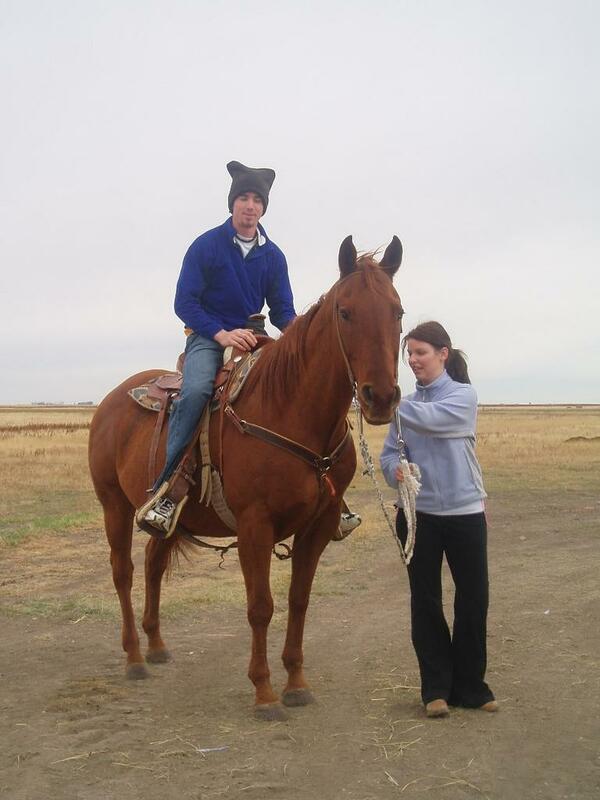 Yours truly being led around on Red by Brittany until he got used to me – we eventually got into a slow gallop! Although it was almost 2 weekends ago now, I managed to get myself invited (Along with 2 other exchange students) along to a ‘traditional’ Canadian Thanksgiving! It was great! Brittanys brother, Ryan is into the Rodeo and they have a few horses so we also got to go riding! Wat they didn’t tell us is that one of the horses is a bit wild and had bucked their dad, Darren off a couple of times! Anyway – I got to ride Red and it was very different to riding the trail horses at home, Ryan uses Red for roping in the rodeo, so he’s very well trained and very smart, the only problem i had with him was that he could obviously feel I was a bit nervous, so he was happy to do whatever he wanted to a certain extent! 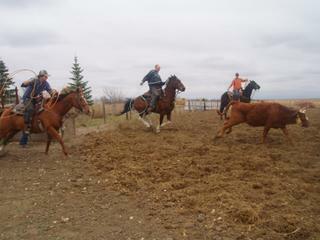 Strider, Ryan and their friend ‘Roping’ calves. Of course, being a small country town there was also a fair bit of underage partying going on, but it was great to get out to a farm party with the big bonfire in a massive combine shed – they called it a concep party or something! So lots of drinking, and revelry all round for a great weekend! 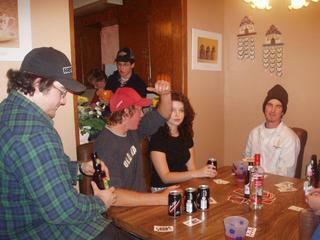 L-R: Renus, Mike(red hat), Ryan, Brittany, YT. Thanks for the weekend Brittany, Ryan, Darren and karen!